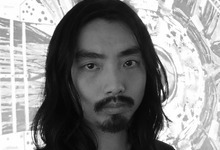 Sandy Ding is an experimental filmmaker who lives and works in China. He was introduced to filmmaking when he studied at CalArts in the United States. His film work focuses on mysteries and the subconscious, using film material and digital techniques to escalate the screen. He also works with sound and experimental music. His films have been shown in festivals and screenings in China and around the world.